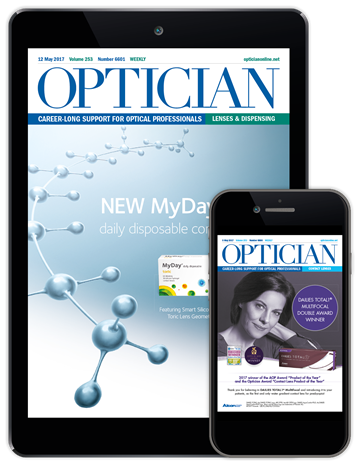 Optician is the leasing independent information source for the optometrists and dispensing opticians, publishing the latest news and analysis from across the profession. 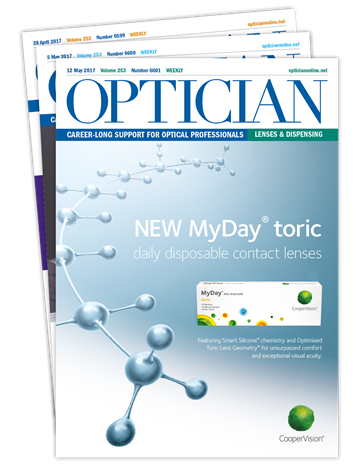 Every issue contains the up-to-date clinical articles, business and management advice, and insights into frames, lenses, fashions and technology. We also provide comprehensive CET support, covering all competencies and practical skills laid down by the GOC. 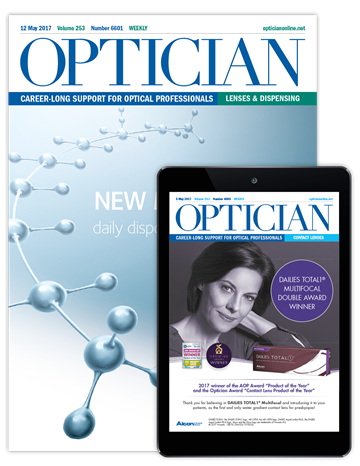 By choosing Optician, you will be able to meet your every professional need, and ultimately encourage a successful practice and rewarding career. Written by consultants in the Hospital Eye Service, this book is a key resource for all eye care professionals dealing with glaucoma. Clearly structured for easy reference - it provides specialist information for the assessment and management of this condition. Save 10% when you subscribe today, and receive the journal, your free gift and access to our online CET platform from just £3.73 per week. To claim this offer, please select your appropriate subscription option below, and quote coupon code OPT18P when prompted at the checkout. *Your subscription could be tax-deductible. As CET is a condition of registration, self-employed professionals and practice owners can claim tax relief on a subscripton, and by deducting the cost as an expense against their income. PAYE employees would need the practice to purchase on their behalf, subtracting the cost from the business' profits. **Gift special offer not available to existing subscribers. Your free gift will be mailed to you within 30 days of purchase. Only one gift per order - while stocks last. We do not provide cash alternatives. Annual direct debit/credit card subscriptions only.